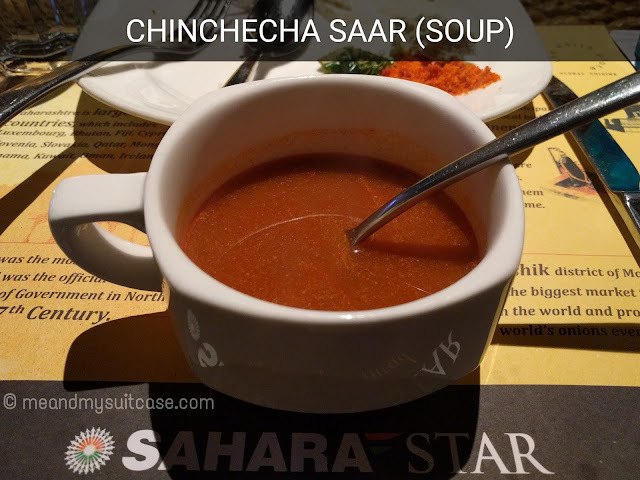 One fine day while checking my mails I saw one invitation lying in my inbox from Sahara Star. 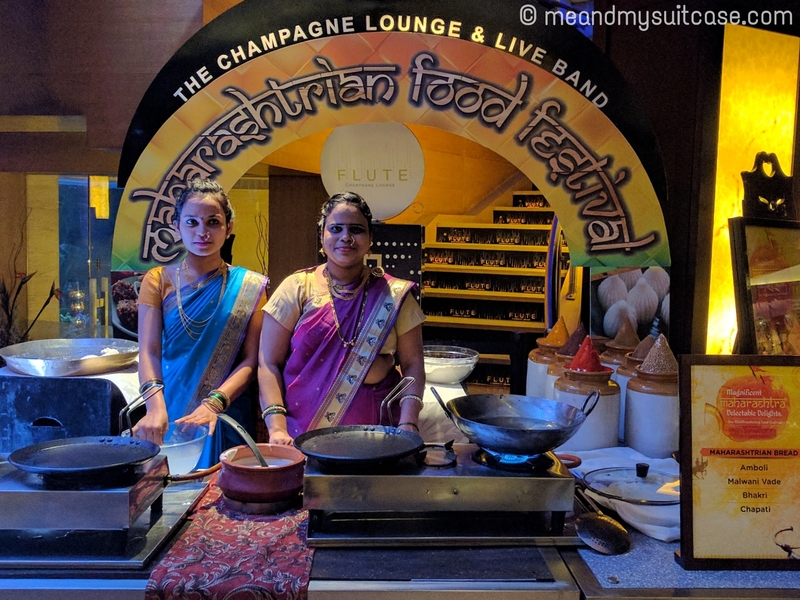 The "Foodie JunkkDNA" couldn't hide its excitement and started to leap from stomach to eyes which started popping out when they read "The Maharashtrian Food Festival". I have been staying in Mumbai for 9 years and half now but have never had a typical Maharashtrian thali / cuisine. Jumping on the opportunity I signed in to join them in celebrating this food fest on 23rd January 2017 (The fest was started on 12th January and will be on until 29th of this month). I also took it as an opportunity to have a dinner date with my mum I had been planning from long. 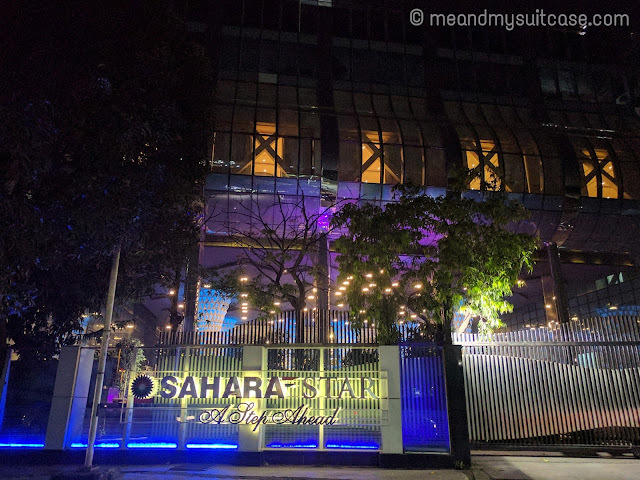 This fest 's been organized by hotel Sahara Star at their "The Earth Plate" restaurant. We were welcomed by the warm staff, nonetheless the ambiance was heart touching. 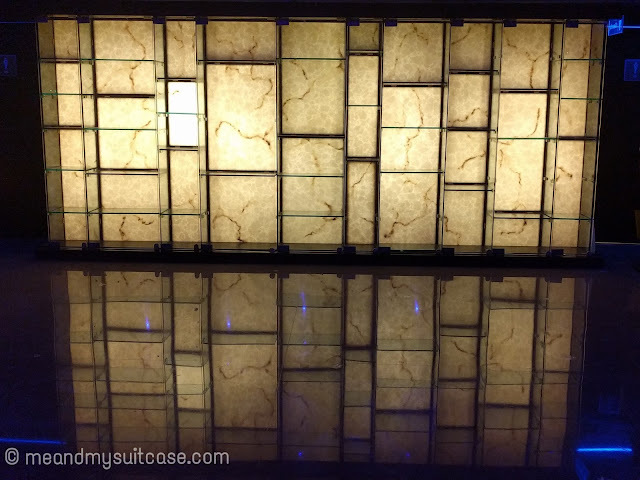 The ceiling at the entrance, the lobby, gallery to the restaurant area, the interiors of the hotel; everything about the place is mesmerizing. On entering "The Earth Plate" we were first served the mocktails of our choice. 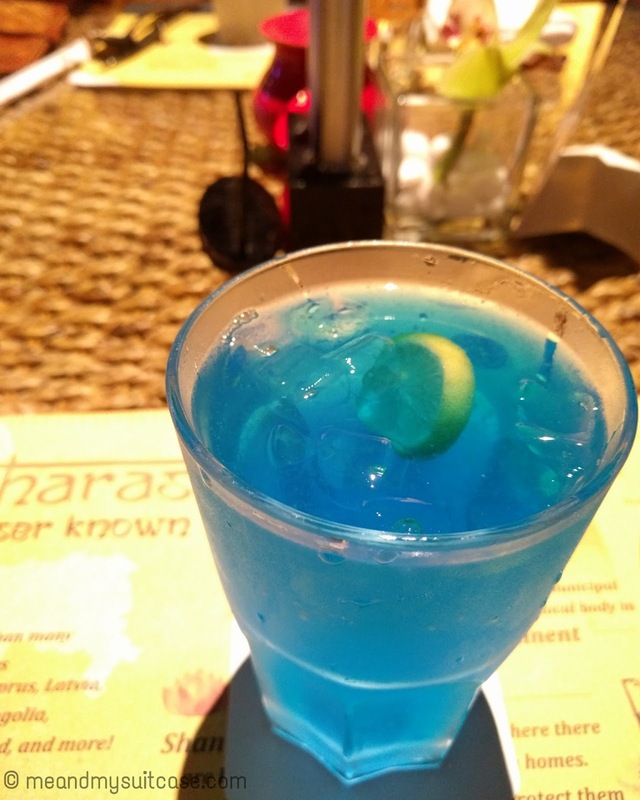 We took the Blue Alaskan Ice and Virgin Mojito. After finishing the same, we were given a tour of the restaurant through the food. It was great to see how they had separated veg and non veg sections, with the salad section in the centre. Being a vegetarian and since I also promote vegetarianism, Mr Siddhesh who was giving me the tour respected my view and took me only through the vegetarian section. 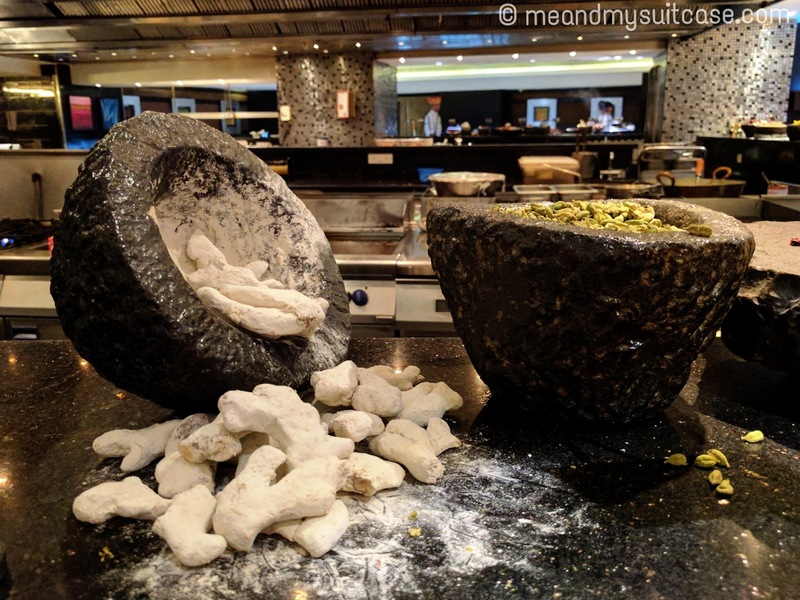 It was so awesome to see the chefs downing the Maharashtrian style attire. Music in the background was indeed Maharashtrian / Marathi music. 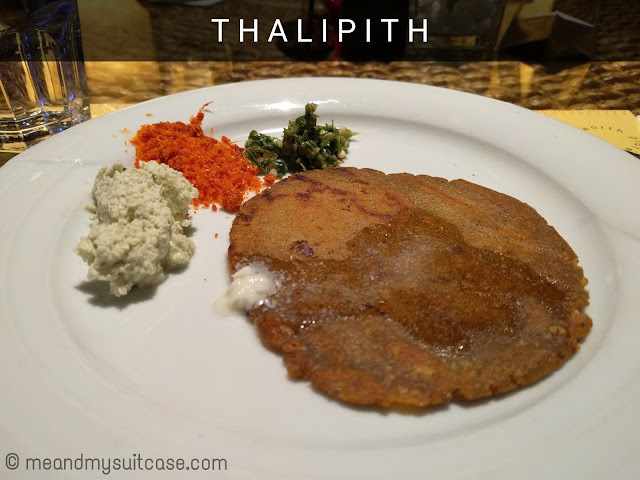 They had 70% Maharashtrian delicacies while the rest continental considering the guests coming from all over the globe. 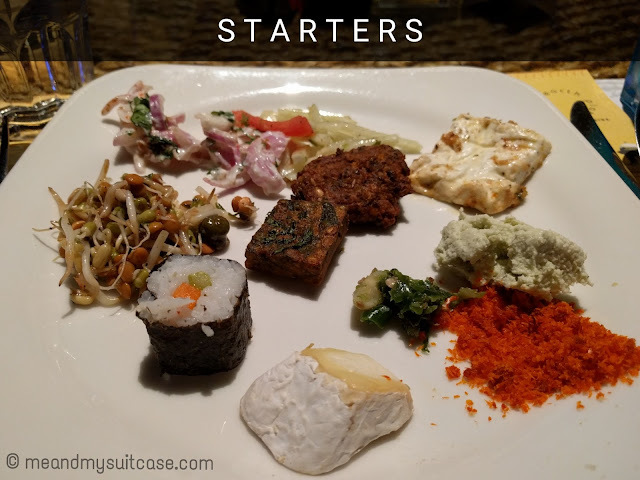 Various veggies and dry fruits in vinegar, different kind of papads and chutneys made for great sides followed by Chinchecha Saar (tamarind based soup) and Cajun spiced cottage, Kothimbir Vadi, Chandrapuri Vada which constituted the starters. Cajun spiced cottage was super soft which melted in mouth like makkhan. Kothimbir Vadi and chandrapuri vada were equally great with about right salt also they were not very spicey. Right next to starters was the live counter of Thalipith. I had heard about it for the first time. It was mouth watery. This is again dal based which has bajre ki Chapati like look but is no where it in taste. It was super soft and is taken with coconut chutney, garlic dry chutney and green Chillies. This delicacy is something I won't ever forget. Mum and I were almost full still there were a lot of items remaining to taste which included a long line of main course and a huge section of desserts which was even burger than the main course section. After sometime we started with our main course. There was a live counter for breads. The women chefs were wearing paithani and the nath was even bigger attraction while the meals ones in kurtas and pagdi. The breads included Amboli, Bhakri, Malwani Vade, Chapati and Puranpoli. I loved Bhakri the most. 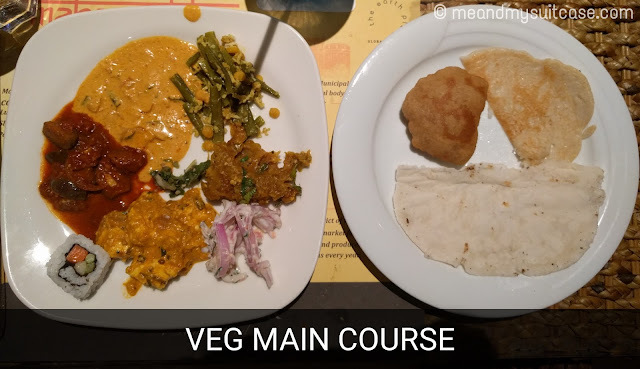 In veggies main course they had Varan (with tup), vangyach bharit, tomato ani vangi cha rassa, Shengdanyachi Amti, Gavarchi bhaji to name a few. To be honest I couldn't try all the veggies but the ones I just mentioned. Vangyach bharit Never tasted so good. I loved it. But what took my heart away were tomato ani vangi cha rassa which i had with Bhakri and Shengdanyachi Amti. They made me salivate. In rice they had narli bhat and sada bhat, I couldn't taste them either. Post main course we were also offered pizza and pasta but we turned down the offer. 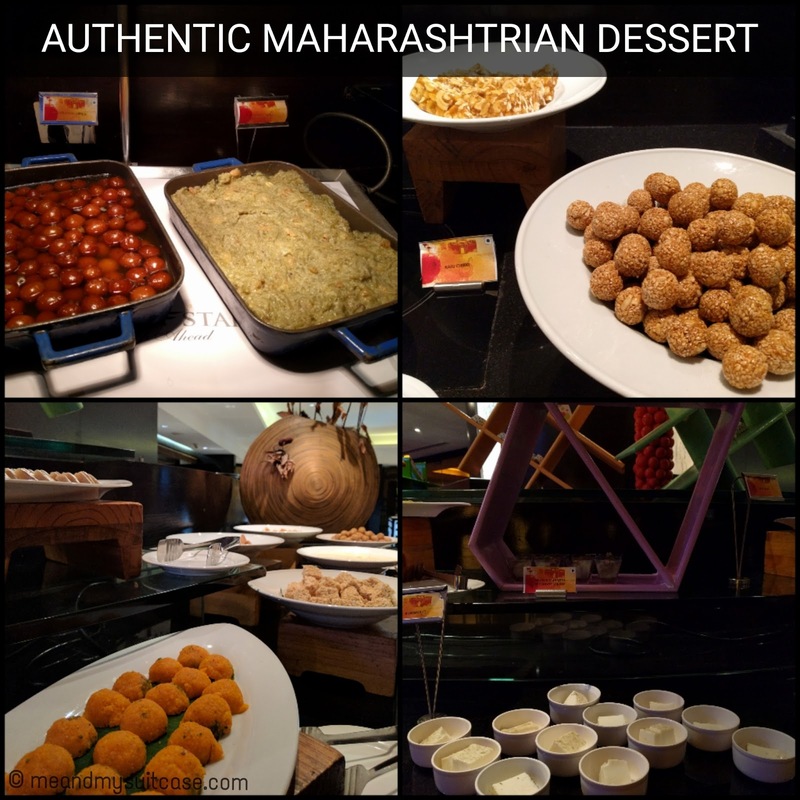 One we didn't want to lose the taste of Maharashtra's delectable delights, second, we still were to taste the big dessert section. The huge colorful palate had 4 to 5 authentic Maharashtrian sweets viz tilgul, kaju chikki, boondi laddoo, kharwas to name a few. They also had doodhi halwa, gulabjamun. When it came to english desserts, they had presented them with a twist. Those desserts had indian style e.g. tiramisu was angoori tiramisu i.e. 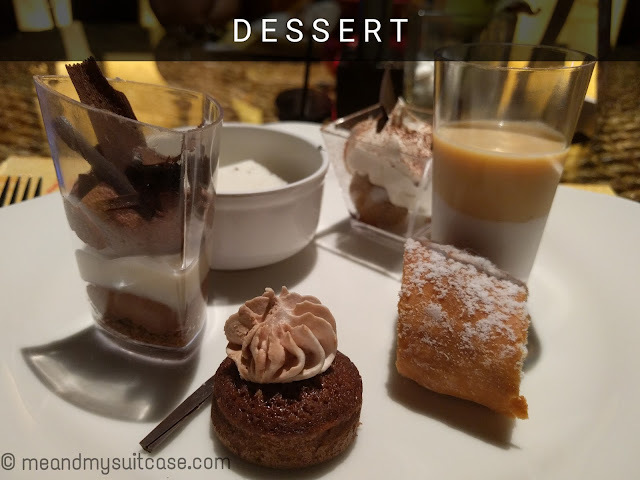 with a small rasgulla at the bottom, they also had pumpkin bars, apple strudle, crunchy chocolate mousse with cardamom shrikhand and the list goes on. I guess there were not less than 20 desserts with ice cream section over and above this. It was a great foodie affair and I had a memorable one which continued with the tour of the property where I captured interiors and once again the Ceiling. 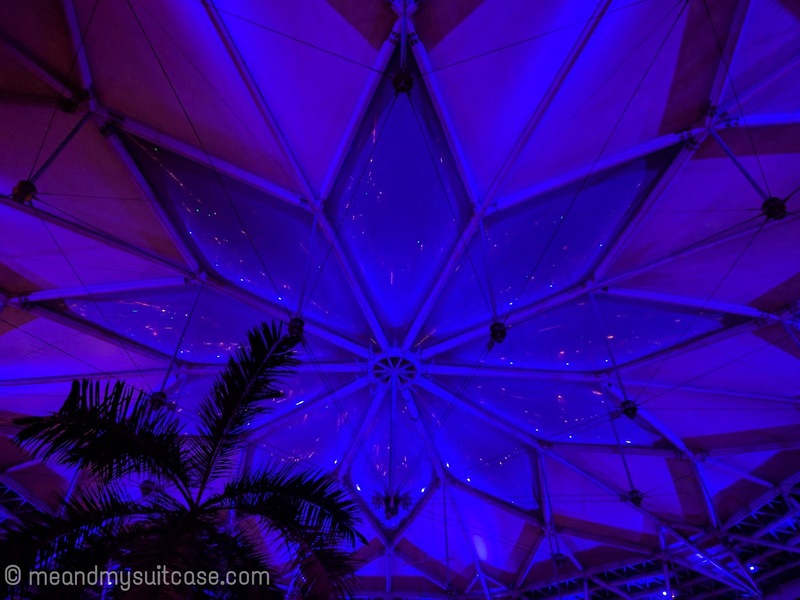 This starry roofy decor was out of the world and my love continued. I could watch this blue star up high all day, all night. 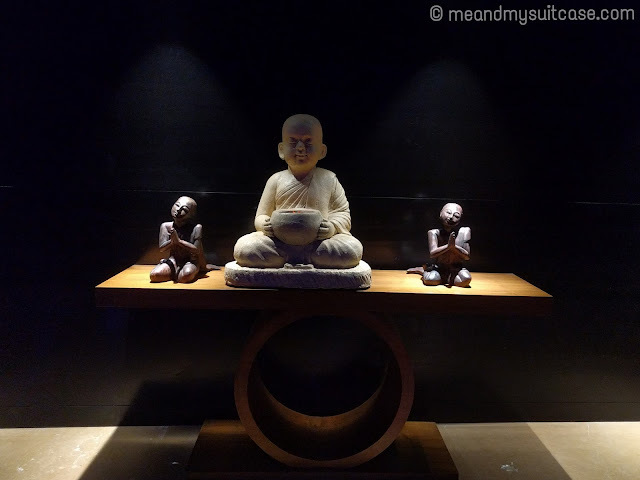 I left with a great foodie experience. 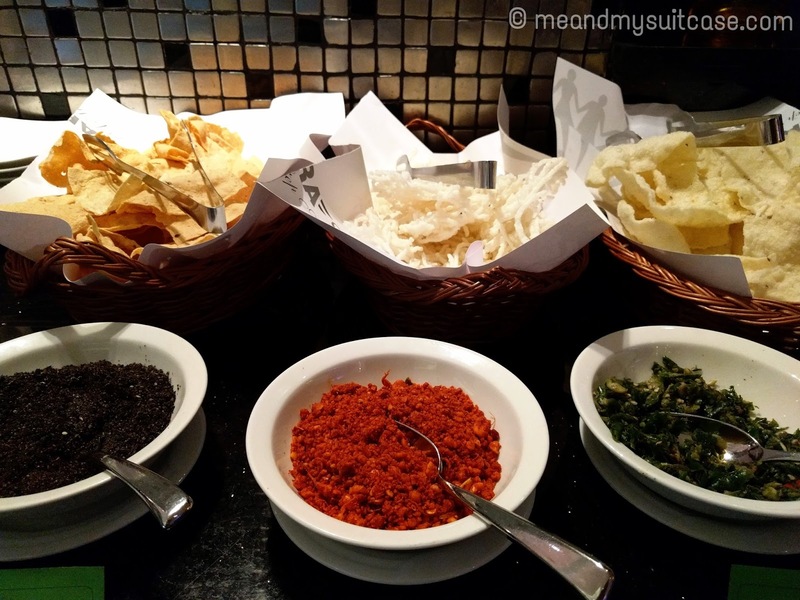 The authentic maharashtrian 3 course meal was without doubt savoury. You can too enjoy it. The festival is on until 29th January and then they will soon be coming with Persian Food Festival. The Maharashtrian buffet is INR 2500 incl taxes with mocktails. Though you have to pay extra for the hard drinks. P.S. Special thanks to Mr Yadav and Chef Sohail incl Mr Siddheshwari, the Team behind my great eve. Have a foodie day ahead. True that is. It was my first time too.